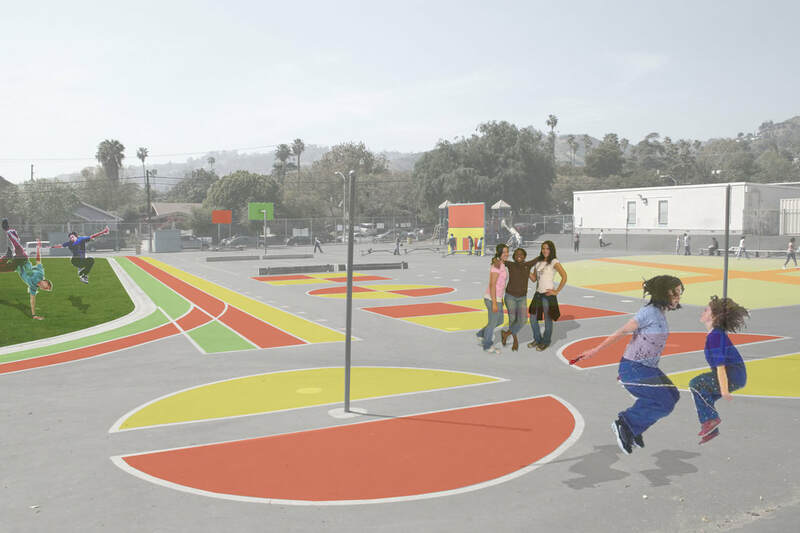 Orange Street Studio was invited to offer a new vision for this public elementary school located in the heart of Hollywood. 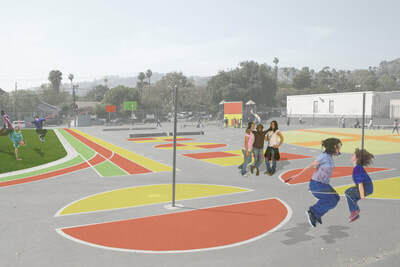 The playground is highlighted with colorful paint, creating a colorful tapestry that reflects the ethnic diversity of the school. 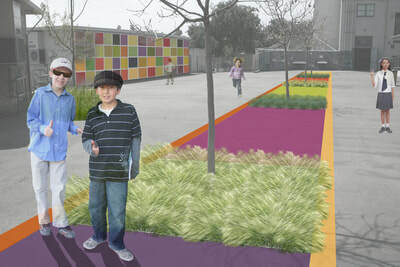 Donations by Friends of Gardner Elementary School are recognized by colorful mural-like plaques. 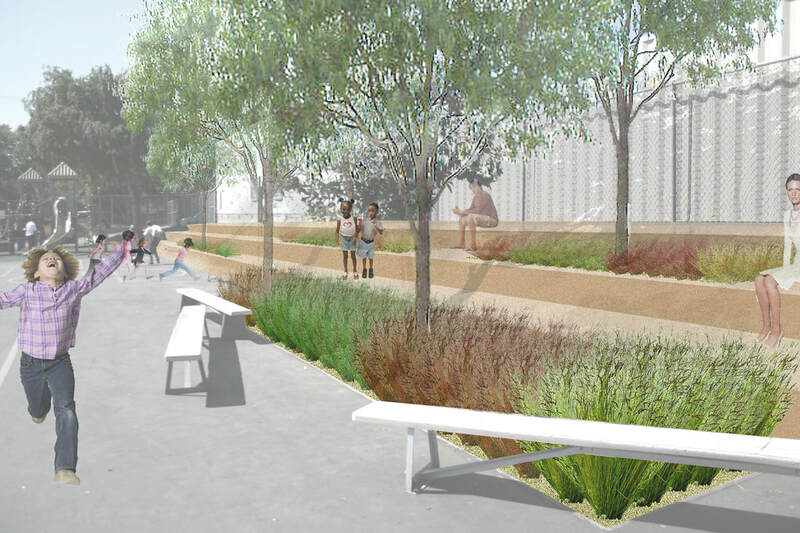 Taking advantage of the existing slope, an amphitheater is created, where teachers, parents, and children can sit under that shade of trees and watch performances held in the playground. A playful yet classical gateway invites people to enter the Pepper Tree Reading Room, which provides an environment for creative learning. Logs on which to sit form a friendship circle. 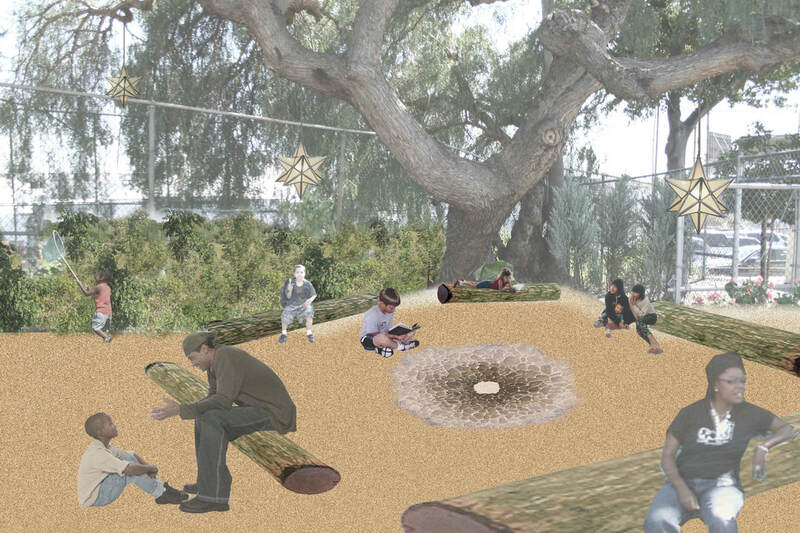 Covered with wood chips or decomposed granite, the ground has the feel of a camp ground, allowing students to experience first-hand the natural world which complements textbook lessons, lectures and class discussions. 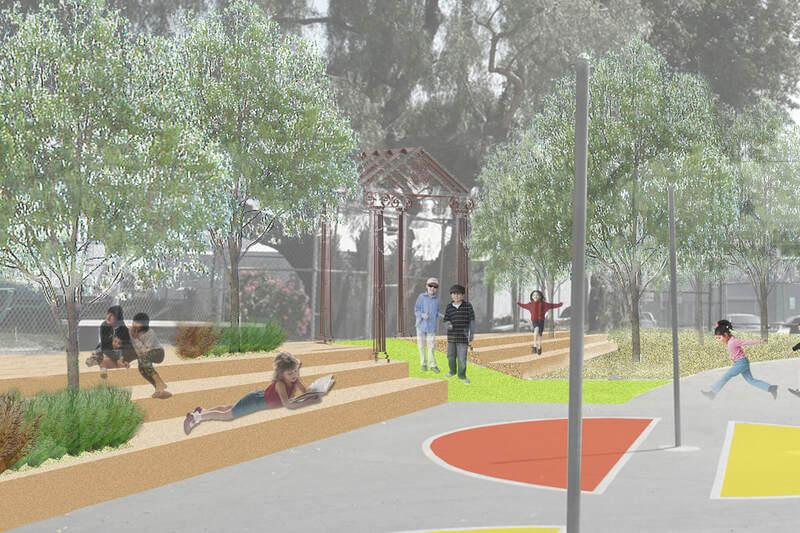 Adults and children alike can benefit from the outdoor experience while sitting under the sheltering shade of the heritage California pepper tree. 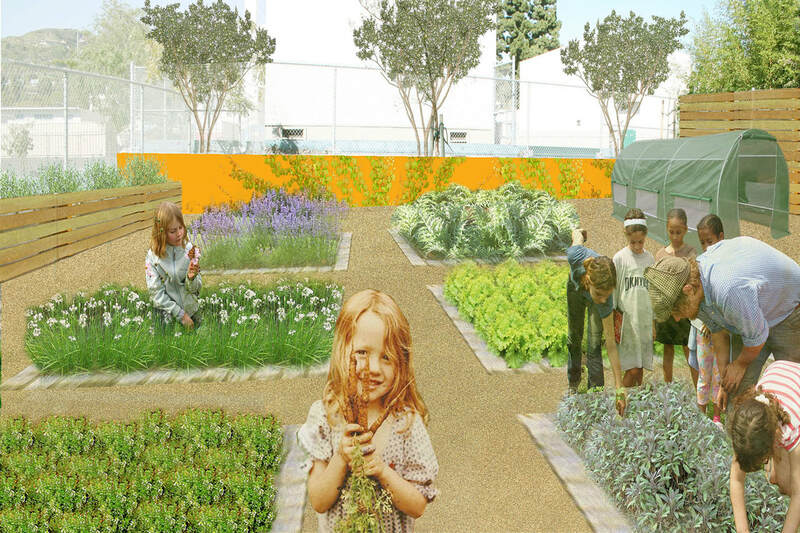 The garden and plant nursery adjacent to the reading garden allows urban youth to grow fresh, healthy organic food right in their own school. By nurturing living plants, and by harvesting and eating fresh fruits and vegetables, youth are nourishing their bodies and cultivating a commitment to healthy living and a healthy environment. The site boasts irrigated beds, a garden shed, and a greenhouse.